Israel and Russia will work together on securing an exit of foreign forces from Syria, Israeli Prime Minister Benjamin Netanyahu said after visiting Moscow to advocate against the Iranian presence in the country. 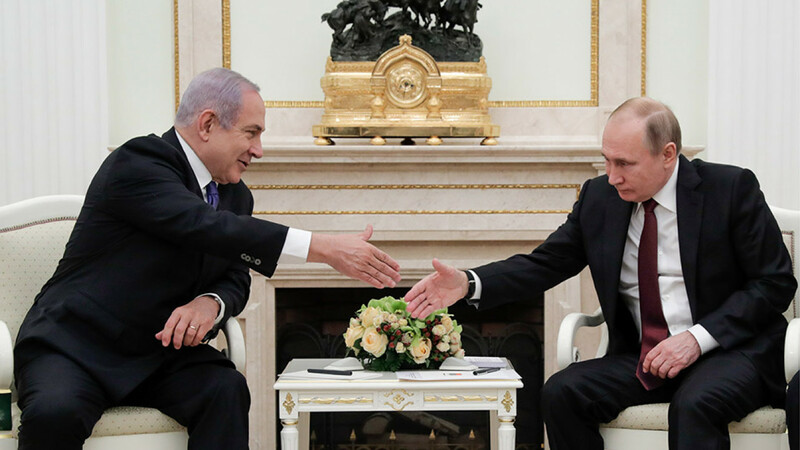 Netanyahu told the Israeli cabinet in broadcast remarks that he had agreed with Russian President Vladimir Putin to set up a joint task force to work on the removal of foreign forces from Syria. Russia’s Foreign Ministry has announced a deal with the U.S. embassy to cut fees for all types of U.S. visas to $160, the current cost of single-entry business and tourist visas valid for one year. The U.S. Embassy in Moscow had in December almost doubled three-year multiple-entry visa costs to $303 in a step “mirroring” the fee that Russia charged U.S. citizens. Russia’s chief of General Staff Valery Gerasimov has once again endorsed a military strategy that blends combat, intelligence and propaganda tools in foreign interventions, citing Syria as an example of success. Gerasimov accused the U.S. Department of Defense of using a so-called “Trojan Horse” military strategy in its interventions abroad — combining the use of domestic opposition forces and precision airstrikes to destabilize the target country. At least four activists were detained outside the Moscow State University (MGU) campus while picketing in support of graduate student and suspected anarchist Azat Miftakhov. Miftakhov, who had initially been detained on suspicion of manufacturing explosives, faces 7 years behind bars for allegedly breaking a window at an office of the ruling United Russia party. The salaries of Russian government officials increased on average by 5.4 percent to 126,600 rubles ($1,957) per month in 2018. The presidential administration and cabinet support staff remained the highest-paying employers: the former earned earned an average monthly salary of 236,678 rubles, while the latter earned 240,303 rubles. Russia will do all possible to prevent a U.S. military intervention in Venezuela, Valentina Matvienko, the speaker of Russia's upper house of parliament, said. Matvienko told Venezuelan Vice President Delcy Rodriguez in Moscow that Russia was very concerned that the United States could carry out provocations to shed blood, to find a cause and reasons for an intervention in Venezuela. Zhores Alferov, the 2000 Nobel Prize winner in physics and a member of Russia's parliament from the Communist Party, has died aged 88 in St. Petersburg. Alferov won recognition for research work in the 1970s in information technology, which paved the way for computers, CD players and cellphones. He shared the nearly $1 million award with two U.S. scientists.